Anonymous browsing service TOR has shut down its Tor Cloud program after failing to find a maintainer for the project’s software. Based on our quick research, it does not seem like Tor Cloud had a huge number of bridges (essentially Tor relays). The few bridges on Tor Cloud may be attributed to the several bugs in its underlying software. There is at least one major bug in the Tor Cloud image that makes it completely dysfunctional (meaning that users could not use this particular service to access the Internet), and there are over a dozen other bugs, at least one of them of highest priority. Probably as a result of these bugs, the number of Tor Cloud bridges has steadily declined since early 2014. Established in November 2011, the Tor Cloud mission enabled members to deploy bridges on Amazon’s EC2 cloud platform. When members set up a bridge on the Amazon EC2 platform, they were in essence donating bandwidth to the Tor network and boosting safety and speed at which users could access an uncensored Internet. The idea was that a bridge (a Tor relay) would act as the first hop in a circuit and forward traffic on to other relays in the Tor network. Since there’s no complete list of all bridges, it was assumed security agencies would find it harder to block them. It boggles the imagination as to why the Tor Cloud project was set up on the Amazon EC2 platform given several public reports of Amazon’s proximity to the intelligence agencies, particularly the CIA. The Tor Cloud folks say ending the project would not affect existing Tor Cloud instances. Apparently, whenever one of these instance was started, a template of the operating system and settings was copied. It seems removing the template will have no effect on the copies. 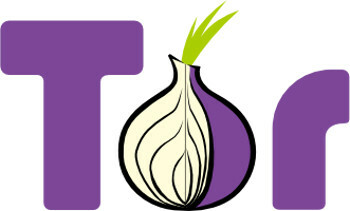 In recent years, TOR has come under severe pressure from security agencies around the world who are seeking to disable its anonymous capabilities under the garb of fighting terrorism, pedophiles, content piracy, and drugs and human smuggling. It’s safe to assume that the NSA and its allies in the Five Eyes program (members – US, Australia, Canada, New Zealand and UK) have considerably whittled down private browsing capabilities of the Tor Browser by compromising relays and through other means. The death of Tor Cloud and the larger issue of end of anonymity on the Internet signals that while everyone clamors for privacy, few are willing to work for it. More so, when the work is free and brings developers under the scrutiny of security agencies.